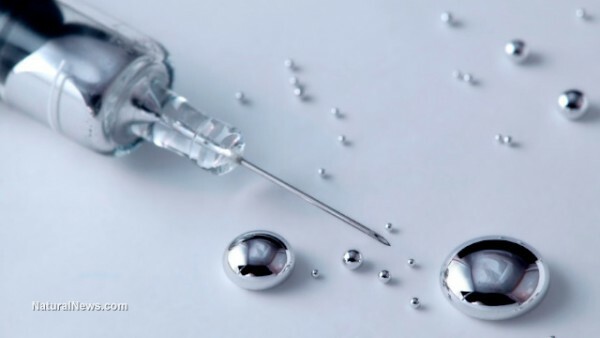 (Natural News) The World Mercury Project (WMP) has launched an IndieGogo campaign to help crowdfund its efforts to get mercury removed from all pharmaceutical products in the United States, including vaccines. Mercury is a potent neurotoxin that causes brain damage even at very low concentrations. It has been specifically linked to conditions including ADHD, Alzheimer’s disease, autism, and heart disease. The FDA has already banned mercury from all over-the-counter drugs, but still permits its use in prescription products. As a consequence, mercury is used in more than 130 separate pharmaceutical products nationwide, including several kinds of vaccine. According to the IndieGogo page, 15 percent of the money raised will be used to educate families about the harms caused by mercury exposure via pharmaceutical products. This will include efforts to refute false claims that mercury has been removed from vaccines except for “trace amounts,” and that the mercury in vaccines does not accumulate in the body or cause harm. The immediate means of outreach will be via articles on social media or the WMP web site, while some funds will also be used to build infrastructure for other future methods of outreach. Thirty percent of the money raised will go toward briefing members of Congress about the need for new recommendations and oversight of mercury in medicines. The remainder will be used for efforts to raise media awareness of the issue. Since its formation in December 2016, the WMP has focused, in particular, on the mercury-containing vaccine additive thimerosal. WMP chairman Robert F. Kennedy, Jr., is the author of the book, “Thimerosal: Let the Science Speak,” in which he reviews the safety research on thimerosal and concludes that this additive is neither safe nor necessary, as many cost-effective alternatives already exist (and are used in other wealthy countries). Although thimerosal was removed from pediatric vaccines in the United States in 2001, it is still found in many flu shots — 48 million per year. It is also found in the meningococcal and tetanus vaccines given to adults and adolescents. The additive is much more widely used, in even higher doses, in pediatric vaccines in poor countries. On its IndieGogo page, WMP notes that the EPA has set a maximum of 2 parts per billion (2 ppb) concentration of mercury in drinking water, and requires that any water containing 200 ppb or more be handled as hazardous waste. Yet the typical thimerosal-containing vaccine has a mercury concentration of 50,000 ppb! According to Kennedy, several hundred peer-reviewed scientific papers published over the last 70 years have conclusively demonstrated that like all forms of mercury, thimerosal is a neurotoxin. Most recently, a research review by two scientists from the Centers for Disease Control and Prevention (CDC) found that the ethylmercury found in thimerosal is just as toxic as the methylmercury found in fish, and that it remains in the body long enough to do serious harm — refuting the two major pro-thimerosal arguments made by the CDC itself. On February 15, the WMP announced that it will pay $100,000 to the first person who can find a peer-reviewed scientific study showing that thimerosal is safe at the concentrations found in flu shots currently being given to children and pregnant women. Mike Adams, the Health Ranger, has issued his own challenge to those who claim that thimerosal is safer than other forms of mercury: drink a liter of any form of mercury, if it’s really so safe!